The world’s online-poker market leader, PokerStars, has confirmed in an e-mail to its customers in Australia that the site and company will be withdrawing its services from the country in the near future. A final date for the departure has yet to be determined. PokerStars’ parent company, The Stars Group (previously known as Amaya), had already indicated its intent to leave Australia several months ago. PokerStars previously disclosed that as part of its required corporate financial disclosures. 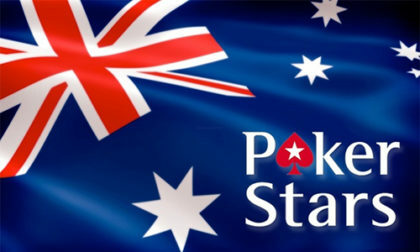 The company’s then-chief financial officer, Daniel Sebag, disclosed last November in a conference call that the expected withdrawal from Australia would slice roughly 2.5% from PokerStars’ global customer base. What remained uncertain at that juncture was when PokerStars and other well-regulated online-poker sites allowing Aussie players would be forced to leave. 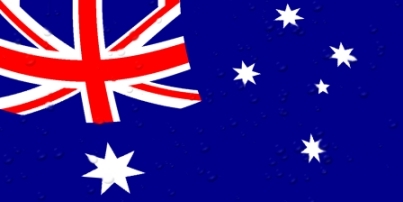 Stars and many other Aussie-facing sites ended up enjoying several additional months as changes to Australia’s IGA (Interactive Gambling Amendment Bill 2016) were fine-tuned, but that legislation was formally approved by the country’s legislature last week. All that rmains is for the official granting of Royal Assent (the signing of the measure by the country’s Governor-General). The 28-day countdown to the online-poker ban becoming official begins once the bill is signed; that’s likely to occur within days. That’s why PokerStars could only tell its Aussie players that the withdrawal will take place in mid-September. The Australian parliament on August 9 passed the Interactive Gambling Amendment Bill (2016) effectively banning all online gambling sites that are not locally licensed under Australian State or Territory law. We’ve been aware of this day coming and have done our best to keep you informed, but we can confirm that we’ll be closing our real money poker tables to players in Australia, most likely around mid-September. We will contact you as soon as a firm date is confirmed. Your funds are, and will continue to be, safe and available for withdrawal. Remember to open any unopened Stars Rewards Chests you have, and you can continue to spend your StarsCoin in the Rewards Store. A $1 Cash Rebate has been added to facilitate converting your StarsCoin to cash. Any tournament tickets and tournament money will be converted to cash for withdrawal, effective from the market exit date. We have provided a FAQ page here. We’re proud to have seen the Australian poker community grow so strong over the last decade. We do respect the Australian Government’s decision in taking steps to protect consumers and hope that in time we’ll be able to serve real money poker to you again. In the meantime, we will continue to offer play money poker and we hope to continue to welcome many Australian players to our tables. We’d also like to thank the Australian Online Poker Alliance for their campaigning on behalf of the game and suggest that you consider lending them your voice if you’d like to see a regulated return of online poker to Australia. 888Poker was the first poker site to depart the Australian market, back in January, after the pullout of online-bingo site Vera&John started the exodus. PokerStars’ pending pullout is expected to be one of dozens of such corporate departures in the coming weeks. We’ll offer additional updates as more Aussie-facing sites formalize their departure plans.